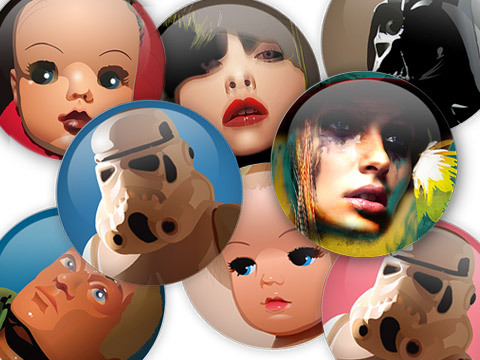 New batch of designer boy badges arrived with 4 new designs: Church, Urban Warrior, Blond Sindy and Blue backed Storm Trooper. Thanks again to Martine for badge production. 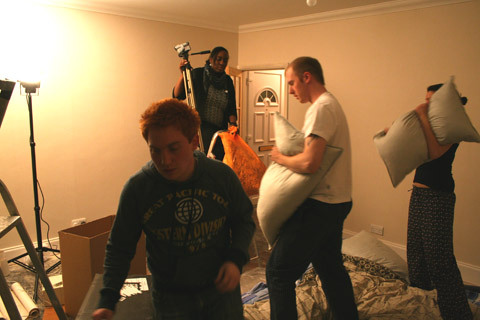 Yesterday night the flat was taken over for a music video shoot. 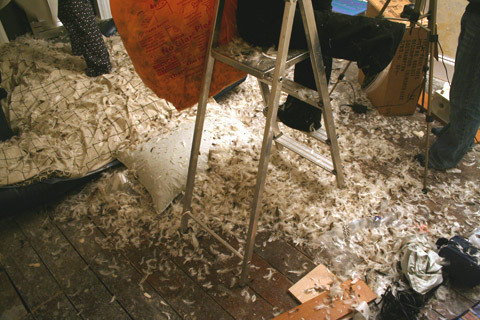 It’s amazing how many feathers are in one pillow! Great fun though! New update to the Fantastic Plastic set of illustrations. Special thanks to Eleanor for supplying the doll. 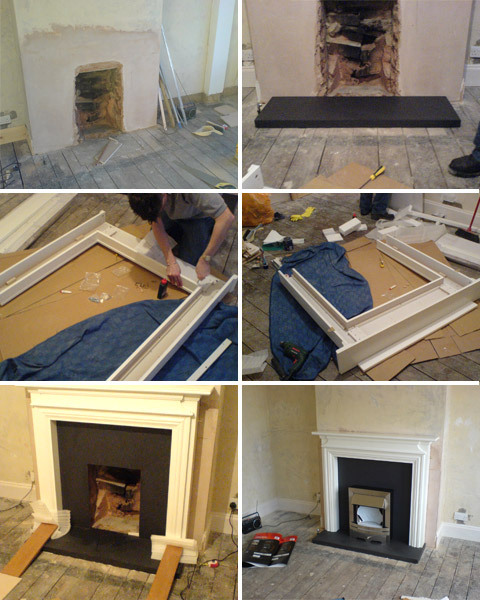 The fire place is in! 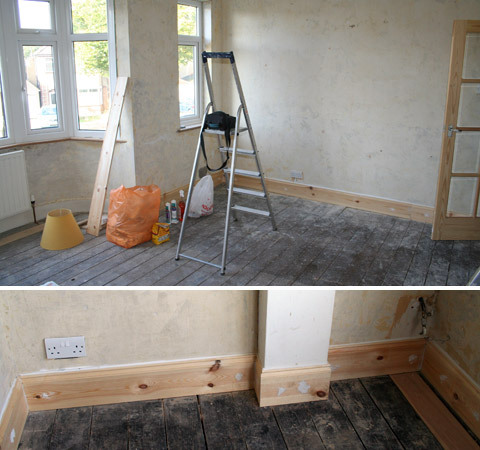 Managed to get the skirting in by screwing it onto the wall in the end. Makes a real difference to a room. 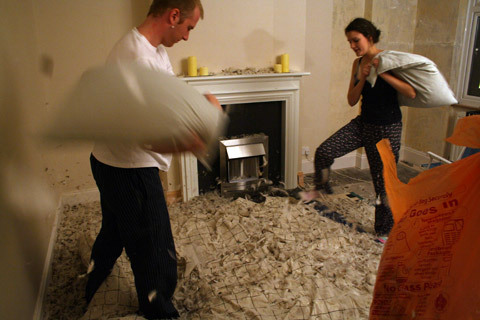 Learnt a lot about mitring corners and also sustained my first DIY accident! Chuck of finger removed with a masonry nail and hammer, still it was my left hand so thats ok!